In an earlier note on A click in Swahili I drew attention to the Reverend W. E. Taylor's description of an interjection/ideophone in the Mvita (Mombasa) dialect that contains a dental click (1891: 93). Taylor struggled to render this unusual sound in print, and offered three different transcriptions for it in his African Aphorisms, as can be seen from the entry that is reproduced here. Judging by the eccentric composite -- "Mng'wpc" -- that appeared in Burt's Swahili Grammar and Vocabulary (1910: 13, fn. 1), Taylor was never able to settle on a satisfactory solution. This wasn't really his fault, given that there was little agreement on how to write down clicks and the languages using them at this time. When I posted my note in June 2010 I wasn't aware of any other references to Taylor's Mvita click-bearing interjection, though I did know of the occurrence of a nasalised dental click in similar contexts in different dialects of Digo, spoken to the south of Mombasa island (Walsh 2006). Last night, however, leafing through the edited verses of Mombasa's most illustrious bard, Muyaka bin Haji al-Ghassaniy (c.1776-c.1840), I stumbled across what seems to be an earlier example of its use. 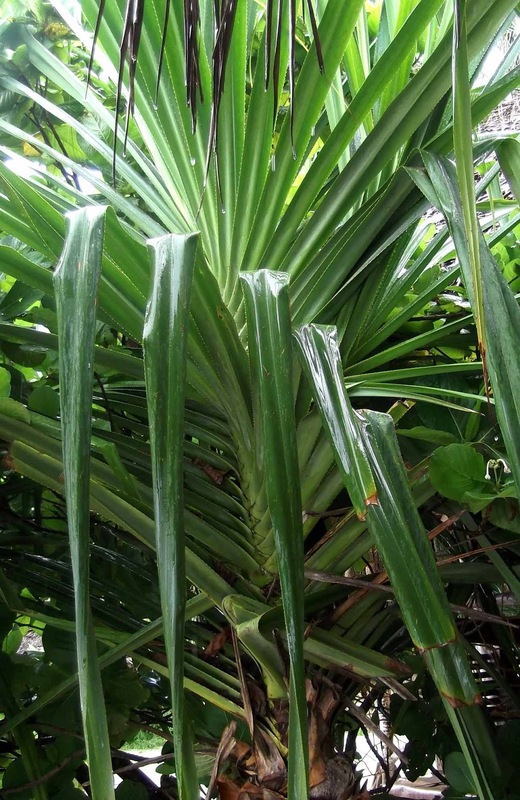 Most of Muyaka's poetry is thought to have been written between roughly around 1810 and his death. We owe the survival of his corpus to the extraordinary collaboration between the Mombasa scholar Mwalimu Sikujua bin Abdallah al-Batawi (who collected and wrote down Muyaka's Swahili poems in Arabic script) and the same Rev. Taylor (who transliterated them in Roman script and added linguistic and other notes). The originals are in the School of Oriental and African Studies (SOAS) in London: I owe my own access to Muyaka's poetry to Mohamed Hassan Abdulaziz's study (1979), which I never tire of dipping into. Ba Cheni walimshika wakamfanya mng'wa! When I tell you about the Wachangamwe you first laugh. They exceed the bounds of acceptable behaviour! They got hold of Bacheni and bit his lip "Mngwa". Ba Cheni walimshika wakimtinda mng'wa! The Wachangamwe are people of action, what they do they do well! It's a fact that women are mischievous, beware of them when they get out of hand. They got hold of Bacheni and cut his lip "Mng'wa." Habariye isikwisha na kumtenda mn'gwa! Who was supposed to have been cooking even before she had lit the lamps. But when she went to make the beds she was already nagging? And the whole thing ended with her biting "Mng'wa." Awele kumruk'ia na kumkata muomo mng'wa! She jumped at him and bit off his lip "Mng'wa". I don't know whether the variant spellings of mng'wa are in Taylor's transliteration or errors introduced during the preparation of Abdulaziz's book. He glosses it as an 'onomatopoeic expression for cutting' (1979: 286, fn. 4), but to me this looks like an over-interpretation influenced by the lines in which it occurs, two of which refer explicitly to cutting. Instead I suggest that it should be read as an approximate rendering of the same interjection-with-a-click-consonant that Taylor tried to describe in African Aphorisms and that he defined as 'an expressive protest against impertinence' (1891: 93). In Muyaka's poem we might think of it as roughly equivalent in meaning to our own 'Hah! So there! Like it or lump it!' Without seeing the relevant archival material it's difficult to know why Taylor himself didn't draw the connection (or why Abdulaziz didn't pick up on it), but it may be that Mwalimu Sikujua's Arabic transcription of the Swahili interjection masked its distinctive enunciation, and that Taylor hadn't yet heard it being spoken. In any event, I've tried my hand at a more idiomatic translation of Muyaka's poem that incorporates this suggested new reading. I'm not an expert in 19th century Swahili poetry or the language in which Muyaka composed his verse: the Mvita that he spoke in Mombasa and the northern dialect forms that he blended in for poetic effect and credibility. But I've drawn on Abdulaziz's text and notes (it's not clear which of these might have come from Taylor), and like him, happily declare the tentativeness of my efforts. So, take it or leave it! They seized Ba Cheni and treated him so! They seized Ba Cheni and slashed him so! Which all ended up with her treating him so! She turned on him and cut his lip so! Despite the superficial similarity, I don't think that there's any link between this Mvita interjection and another expressive nugget that occurs in imprecations in 19th century Swahili poetry, the use of Mngwa- or ngwa- to prefix subjunctive verb forms (Biersteker and Shariff 1995: fn. 254). This has been convincingly explained as a euphemistic contraction of the phrase 'Mungu a-', 'May God...' (Sacleux 1939: 683). Otherwise Sacleux seems to have missed Taylor's interjection and click. Abdulaziz, Mohamed H. 1979. 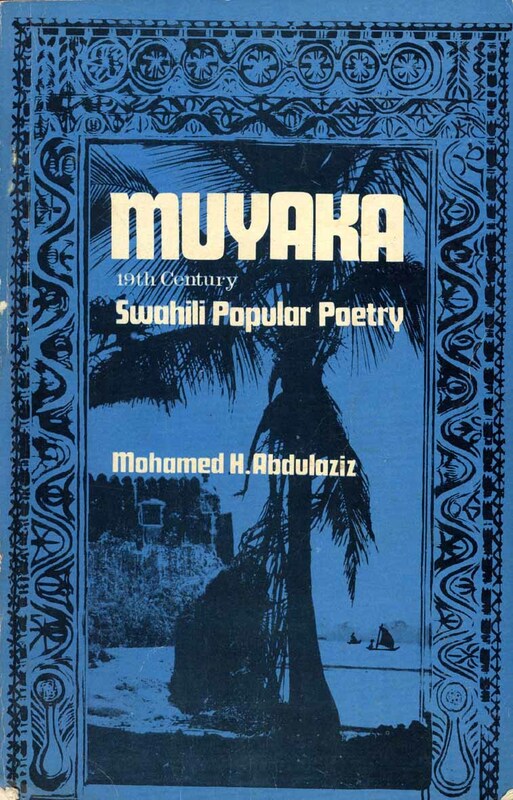 Muyaka: 19th Century Swahili Popular Poetry. Nairobi: Kenya Literature Bureau. Biersteker, Ann and Ibrahimu Noor Shariff (eds.) 1995. Mashairi ya Vita vya Kuduhu: War Poetry in Kiswahili Exchanged at the Time of the Battle of Kuduhu. East Lansing: Michigan State University Press. Burt, F. 1910. Swahili Grammar and Vocabulary. London: Society for Promoting Christian Knowledge. Lambert, H. E. 1958. 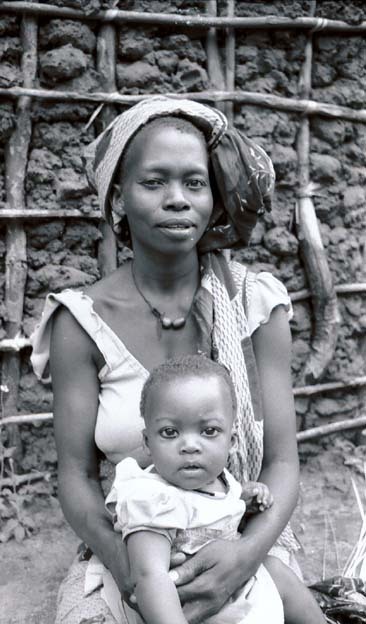 Chi-Jomvu and Ki-Ngare: Sub-dialects of the Mombasa Area (Studies in Swahili Dialect III). Kampala: East African Swahili Committee, Kampala College. Sacleux, Charles 1939. Dictionnaire Swahili-Français. Paris: Institut d'Ethnologie. Taylor, W. E. 1891. African Aphorisms; or, Saws from Swahili-land. London: Society for Promoting Christian Knowledge. Walsh, Martin T. 2006. A Click in Digo and its Historical Interpretation. Azania 41: 158-166.